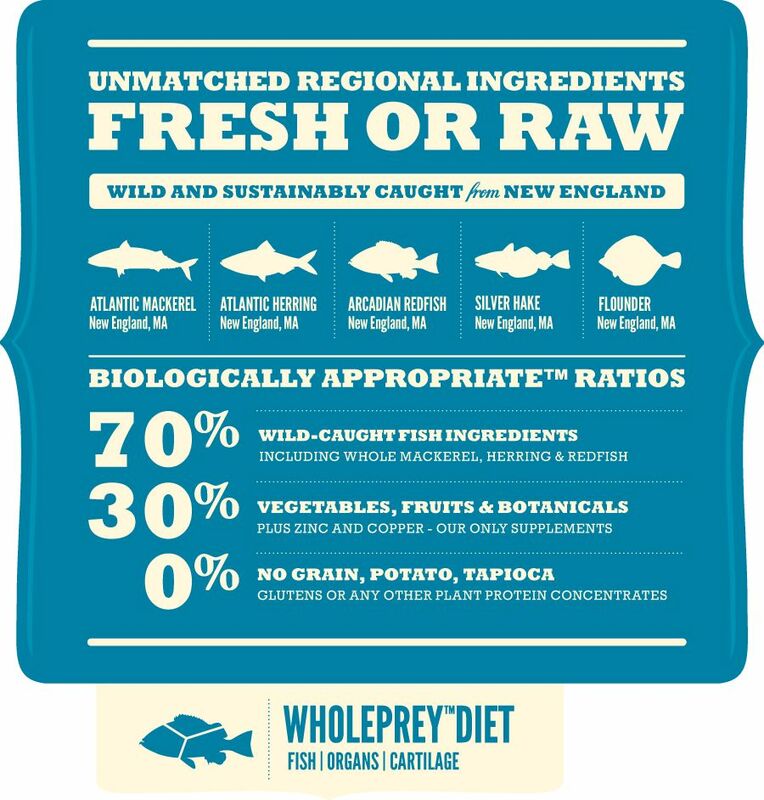 Loaded with wild-caught mackerel, herring, redfish, silver hake and yellowtail flounder, this region-inspired food reflects New England’s sustainable maritime bounty. 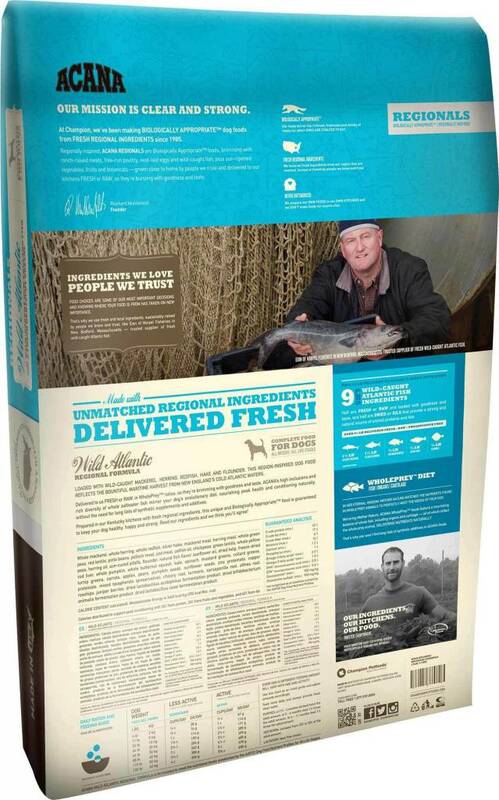 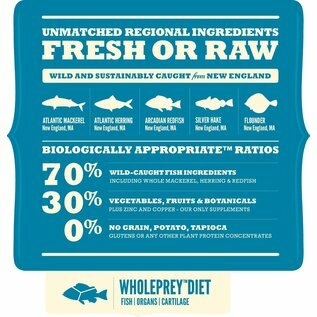 Delivered fresh, in WholePrey™ ratios, so they’re brimming with goodness, ACANA’s rich diversity of saltwater fish mirror your dog’s evolutionary diet, nourishing peak health without long lists of synthetic supplements and additives. 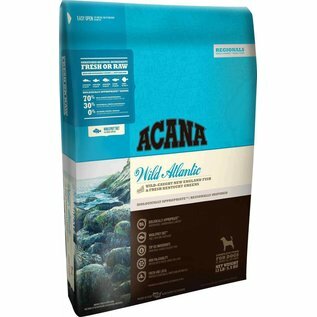 Prepared in our Kentucky DogStar® kitchens from America’s best and freshest ingredients, ACANA Wild Atlantic is guaranteed to keep your dog healthy, happy and strong. 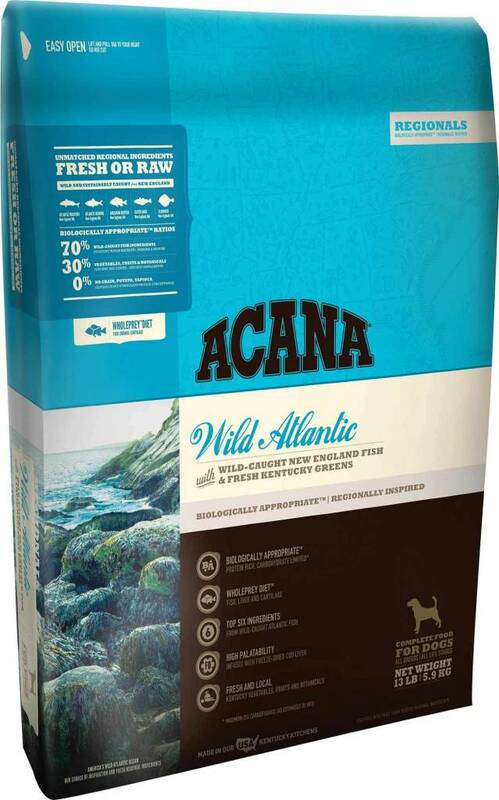 ACANA Wild Atlantic features an unmatched variety of local ingredients that are raised or fished by people we know and trust, deemed “fit for human consumption”, and then delivered to our Kentucky DogStar® kitchens fresh or raw each day! 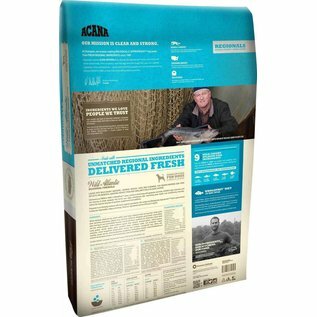 Visit www.acana.com for more information.